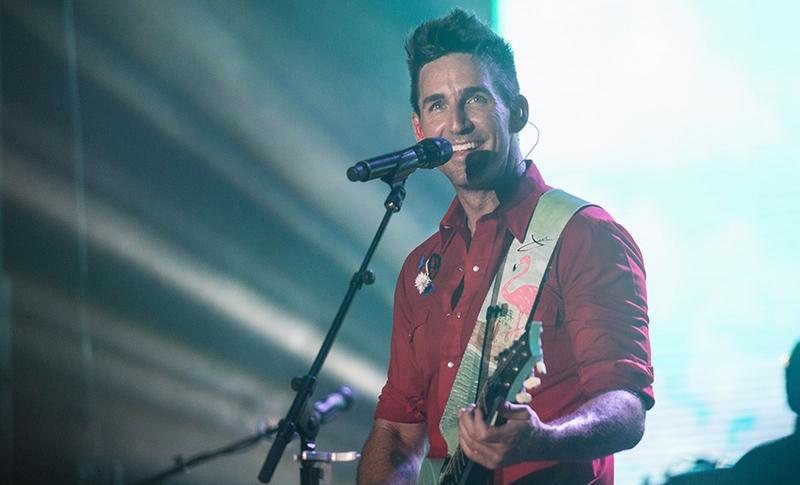 Nashville-based production company 44 Designs (44designs.com) was an early adopter of Elation’s Artiste DaVinci™ and recently used the award-winning LED moving head spot in their production design for country music artist Jake Owen’s “Life's Whatcha Make It” tour. 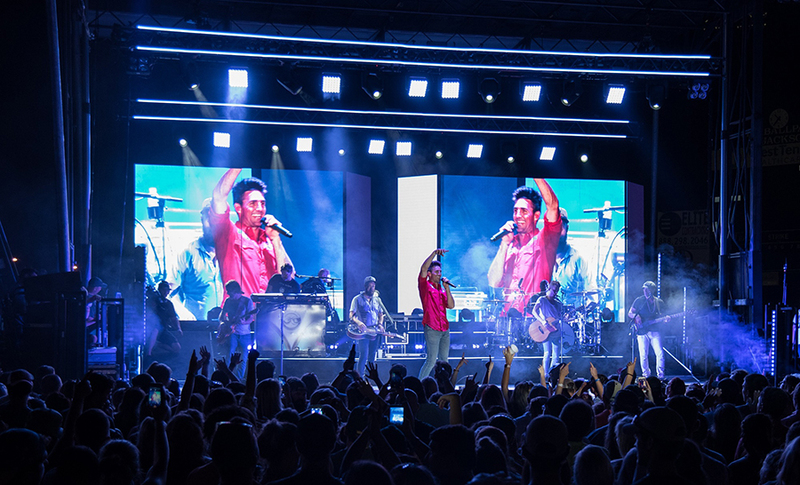 Twelve of the full-featured DaVinci fixtures were put to creative use by lighting designer and production manager Chris Nathan on a successful 6-month long tour that’s been on the road since last spring. Owen played sheds and baseball stadiums around the country over the summer with a recent fall leg moving into arenas. Nathan found the Artiste DaVinci a quality spot luminaire for both the outdoor and indoor venues. Owen exudes a contagiously upbeat vibe on stage while playing a mix of modern country to more traditional numbers, a style he has honed over his 12-year career. 44 Designs has worked closely with the artist and his production team for the past two years and has forged a solid creative relationship. “His crew and team all get his vision for how he wants his shows to look and feel, and we've just really enjoyed working with him on this tour. He's a great person to collaborate with,” says 44 Designs owner Jeff Lavallee, who served as creative director and production designer on the tour. 44 Designs has stocked the Artiste DaVinci since 2017 as one of the first production houses to do so and according to Lavallee has kept them busy on tours for Arlo Guthrie, Mutemath, Good Charlotte, Jake Owen and others. “They’ve been solid. They are an integral part of our inventory and our design looks and we’ve never had any issues with them on any tour,” he concludes.